[li]'Seralius', a portmanteau of 'seraph', a class of angel, and 'lius', referring to light. Though not believing in Star Signs himself, Aeon does channel the characteristics of his. He is ambitious, a loyal friend, though rather straightforward and blunt, and possesses a high level of courage and natural leadership skills. He is somewhat flawed however, by his impatience and stubbornness. During his time at Hogwarts, Aeon learned the Marking Charm, which takes the form of the alchemical symbol for the sun, circled by eight rays of light. Many of his notable possession carry this same mark. A mildly powerful and very reliable wand wood, Mahogany seems to have a penchant for transfiguration. Phoenix tail feathers are not easy to come by. The animal is known for its versatility, making wands with this core useful for wand casters who seek to become good with different types of magic. A pliable wand is excellent for Transfiguration, the wand's flexibility mirroring the magic's ability to create change. A little on the longer side of things, wands of this length are slightly more uncommon and not easily forgotten by others. Great care was taken in crafting this wand's wood to spiral to its point, giving it a beautiful aesthetic quality. Thoughts: Aeon see's his wand as the perfect fit for him. It's flexibility and wood's penchant for Transfiguration correlates with his natural capability for that particular branch of magic, an affinity that runs in his family, and one he is exceedingly proud of. A light, natural blonde kept at a relatively medium length, his fringe sitting just at the eyebrows. It tends to be quite messy and unbrushed, outside of formal occasions. Naturally, he has pale, golden eyes inherited from his father's family, as a side effect of magical experimentation. Aeon generally changes them to a bright blue, with only a thinner golden ring encircling his iris. Fair, stemming from his English background. Aeon has a tattoo of his animagus form's paw print on the left side of his chest, close to his heart. This is maintained while he's transfigured into said form, featuring as a lighter patch of fur in the same shape. Along the back of his hand is another tattoo, of his husbands personal crescent moon mark. It is enchanted to work two ways and glows at a touch, filling his body with a wash of warmth when they're apart to let the other know that they're thinking of them. There is a simple silver piercing in his right ear. Because it is typically seen as the side gay men pierce, he pierced it in his youth as more of a statement than an accessory. His style of clothing tends to follow a hybrid of wizard and muggle attire, something of an in-between with a slight lean toward more of a magical preference. Publically, his clothing choices are relatively fashionable and more pride is taken in his appearance, otherwise he's happy to simply put on whatever is convenient at the time. One notable choice of attire is a dragonskin coat he often wears, as its the most expensive article of clothing he owns, and its resistance to spells is useful, if rarely necessary. During the Winter, Aeon will often don a cloak for the additional warmth. Darker shades of red or blue. Being a Gryffindor was great for Aeon, who was pleased to wear a colour he's fond of. Eleven. His height, date of birth and wand all contain the number eleven, which coincidentally is the age wizarding children start learning magic. Deep-fried duck, with plum or hoisin sauce. 1st-7th Year - Flourish & Blotts, as he loved reading and ended up working part-time in the store as an assistant during his youth. Post-Graduation - The Magical Menagerie, a store filled with magical creatures and currently run by himself. Fantastic Beasts and Where To Find Them. It became one of the most useful books in his possession after he purchased the Magical Menagerie and came to take over the care of various magical creatures. Summer, mostly because it is a part of his name. Transfiguration - A branch of magic he naturally excelled in due to his heritage, becoming an animagus during his teen years, and a subject he eventually went on to teach himself. Care of Magical Creatures - Given that Aeon was training to become an animagus, he became more interested in learning about animals in general, but ones of the magical variety quickly became something he was more intrigued by. Herbology - A subject Aeon fell in love with from his first year, and a hobby he continued into adulthood. The Phoenix, a bird he has adored for practically his entire life, fascinated by their beauty and regenerative abilities. It's also a component of his wand. Burning leaves. There's something oddly attractive about the smoke it produces. This has always been blank, because it is so hard for me as a roleplayer to fill out. I know what he's like as a person, but summarising it is difficult to do. Husky, an ethereal manifestation of his animagus form bearing the same markings that he considers to be his literal soul-self. Because it takes a form he is familiar with, and one he's bonded closely to, Aeon finds he has an easier time conjuring his patronus than he might otherwise. When asked, he states that his patronus is himself. His husband being murdered on their wedding day. After witnessing the murder of Nicolas King, the event became a very real and very dominant fear. Even though he has since become happily married, the fear persists and is a recurring nightmare of his. 1st-7th Year - Gazing into the mirror would have reflected Aeon's own self back at him, before briefly transitioning into a variety of different animals, from birds to beasts, to signify his accomplishment at becoming an animagus. The ability was his greatest motivator, and the one dominant achievement he wished for. Adulthood - Gazing into the mirror now would show Aeon's husband and their two children; much older than they are now, but still together as a family. Because of his own broken family, he's worried by history repeating itself, and hopes their future remains positive. A natural at the subject, Aeon excelled in Transfiguration throughout school and graduated at an Outstanding level, going on to become a teacher of the subject. As a result of his studies, he can flawlessly perform Vanishing, Switching, Conjuring and Transfigurative magic, as well as boasting the ability to change into an animal at will. During his school years, he began his animagus training, which was completed by the time he was seventeen. 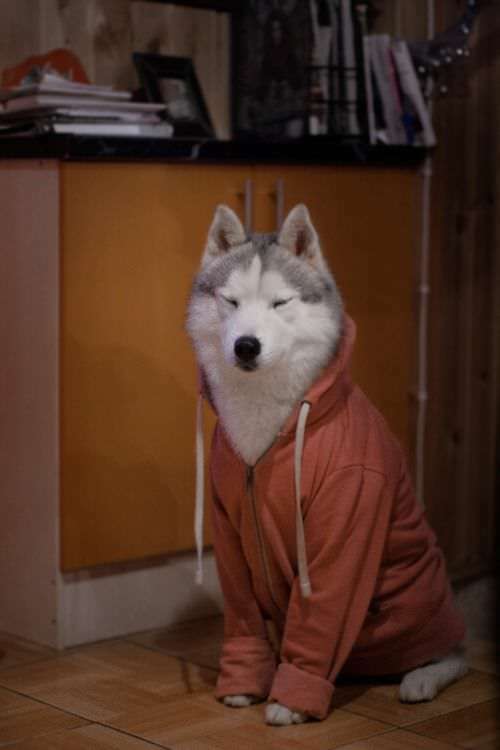 As a result, he is able to transform into a husky at will. This form retains his eye colour, as well as the tattoos from his human self, which are mimicked as white patches on his fur. Nonverbal Spellcasting Due to his proficiency in certain branches of magic, and his experience as a duelist during his school years, Aeon is capable of performing nonverbal spells, to an extent. After witnessing the murder of Nicolas King during the Head Auror's wedding, Aeon has since been able to see Thestrals. Aeon has only ever been admitted to St Mungo's due to recurring flashbacks from experiences within the Borely Mansion, where he was prescribed a potion that essentially blocked out his memories of the events. Just the mention of the house still brings him some anxiety, however. Andromeda Fiorelli, a fellow Gryffindor who was a few years his senior had made flirtatious advances whilst the two were hanging out atop one of the towers of Hogwarts New Zealand. The kiss had been brief and surprising, though he regrets that it wasn't lost to someone he had feelings for. Brodie Fudge, a Slytherin who had bought Aeon during an auction for dates to the Yule Ball. It was only during that year that Aeon had started coming to terms with his sexuality. Brodie had only bid on him as a joke, not expecting to win, and initially the two didn't get along, though Aeon made an effort to try. He saw past his supremacist mindset and developed feelings for the Slytherin. They began to date following the Yule Ball, and Aeon taught him what he knew about the muggle world, which helped to open his eyes. The two of them had a steady relationship up until Aeon's graduation. They broke up, unable to continue their relationship over a long distance, as Brodie still had one more year of schooling. Brodie Summers. The wizard met Aeon once more in the Leaky Cauldron, both now adults. The former Slytherin took him on a ride on his flying motorcycle and they ended up spending the night together on a cliff side, overlooking the waters of Obsidian Harbor. They went on a few dates, getting to know each other again after the years they'd been apart, and ended up resuming their relationship. Aeon departed his cousin's home after a time and moved into a house by the harbor with his boyfriend. Brodie helped him to become more comfortable with himself and rebuild his confidence. When Aeon gained a position as a professor of Hogwarts, Brodie took him out to dinner at Takarokaro Park. Knowing they wouldn't be able to spend as much time together but not wanting to lose him, he conjured a false sky, writing his proposal in the stars. Aeon was absolutely thrilled and the two were engaged. At the end of Aeon's first year in his new position, they married in the forests of New Zealand and now have two children of their own, through a surrogate mother. Deodat and Canice, large puffskeins with artificially coloured fur, purple and pink respectively. The two served as Aeon's friends when he felt alone during his time in school. Both are now deceased, though left Aeon with their offspring, Quinn, a female puffskein with natural custard fur. Occupation: Improper Use of Magic Rep.